Caption slip reads: "Photographer: Olmo. Date: 08-24. Reporter: Parker. Assignment: Miss New in Shoes. 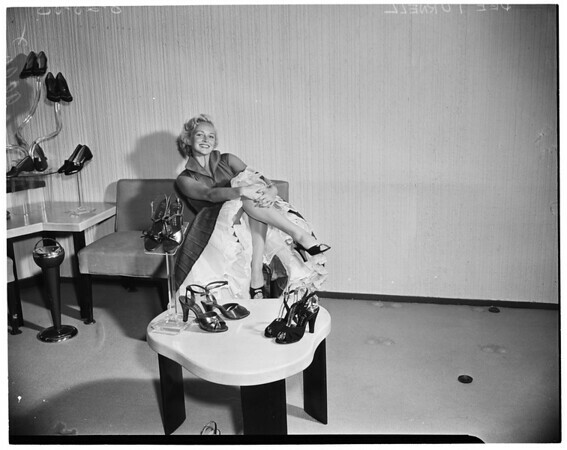 39-4: Dee Turnell, MGM actress, is Miss New in Shoes. She will reign over month-long drive by shoe industry retailers to publicize the new fall fashions. She was picked by Los Angeles Shoe Retailers Association and its president, Al Friedman."